Visit to Danone research with the new cohort ! The FIPDes cohort 7 visited Danone research center Daniel Carasso. 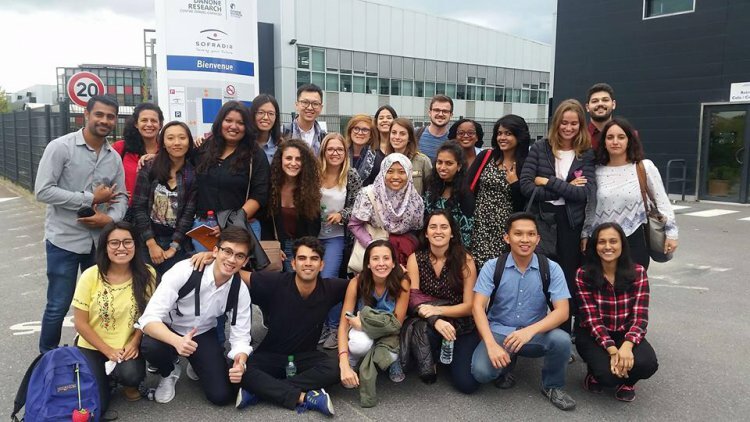 During the FIPDes week the cohort 7 who just arrived in AgroParisTech visited the research center Danone Research in Palaiseau. In this article, they express their feeling about this visit. 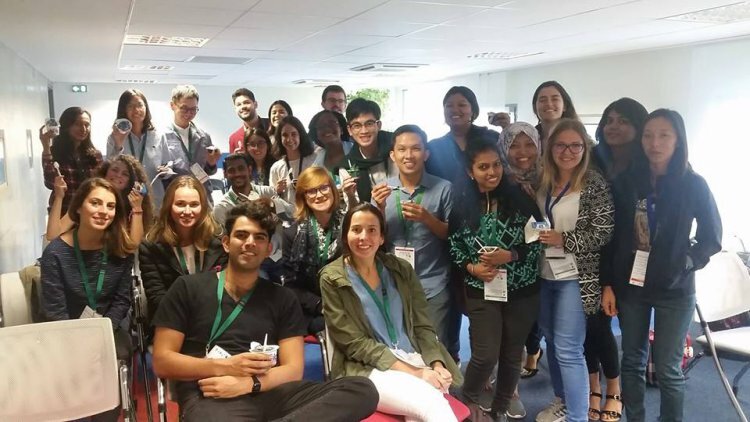 Danone Research Centre is located just a few kilometres outside of Paris, where we (Cohort 7) were warmly welcomed with a probiotic welcome-yoghurt ... Quite a pleasant alternative to a standard welcome-drink! We all arrived at Danone with very minimalist knowledge about the company and their products. But within one afternoon, after a few presentations, after a walk through the laboratories, after a peek into the production sites and after some tasting in the innovation kitchen, we certainly knew a lot more. We were introduced to the inspiring philosophy of the company, we learned that Danone is involved in many more products than just yoghurt (such as water or baby nutrition), we were made aware of the immense health benefits of dairy products, we were informed about potential job profiles in the company and we were even told how to perform in a job interview ... well luckily that’s only on next year’s agenda. The centre we visited works on dairy products and on waters. Thus, they have all the pilot installations needed to produce the whole range of products and a huge library of strains of bacteria. During the visit, we saw the science lab, which works on the matching of different strains of bacteria in order to develop new products; and then we saw the pilot plants and the experimental kitchen. I was really interested by all the presentations we attended. The speakers took the time to answer our questions and were opened to discussion. I learnt a lot on the company’s operations and particularly on the running of an R&D department. Being well received in Danone in France was specially important to me, since my past experience was in Danone Brazil and the Research Center has been always so distant but yet so close to me. Knowing Danone’s people, process, routine and how inspired its employees are about what they do could show me that working with food is much more than science, is about connection.